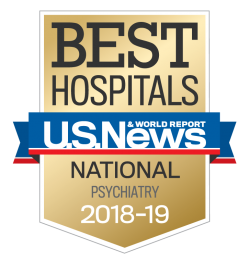 In addition to robust crisis and inpatient services, our two hospitals located in Towson, MD, and Ellicott City, MD offer partial hospitalization and intensive outpatient levels of care for adults experiencing mental illness and/or co-occurring disorders who do not require the intensity of inpatient treatment. Most people are referred to our day hospital after they have stabilized or completed an inpatient treatment program, or through a treating clinician who feels they need more treatment than can be provided on an outpatient basis. Our day hospital provides treatment during the day, allowing patients to return to the comforts of their own home at night. Adult Day Hospital programming is offered on weekdays from 8:00 a.m. until 3:30 p.m.; the average length of stay at the Adult Day Hospital is two weeks. We ensure that care does not stop when an individual is ready to leave the day hospital. While a patient is enrolled at the Adult Day Hospital, our multidisciplinary team will create a comprehensive discharge plan to ensure that the appropriate community-based appointments have been arranged.